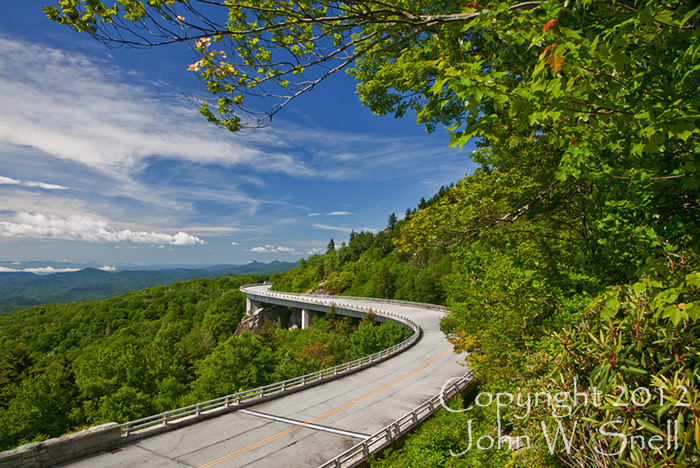 This 1,243-foot long bridge was the final piece of the Blue Ridge Parkway puzzle and was completed in 1987. It snakes around the base of Grandfather Mountain using a construction method that avoided the traditional cut-and-fill tradition of mountain road building. The result was an award-winning design that caused minimal impact to the terrain on which it stands.